Elijah proclaimed the word of the Lord, God’s righteous condemnation, to King Ahab. It brought Ahab to repentance, which caused the Lord to be gracious to the king. It could not have been easy for Elijah to stand up to the king, for a little later, we hear of his fearful flight from the queen (1 Kings 19:3). Yet God used Elijah, who seemed foolish to sophisticated Ahab and Jezebel, to shame them and to bring Ahab to repentance. We too, at the risk of rejection and well-being, are to declare the law of God to those around us. But we are not to stop with the law. 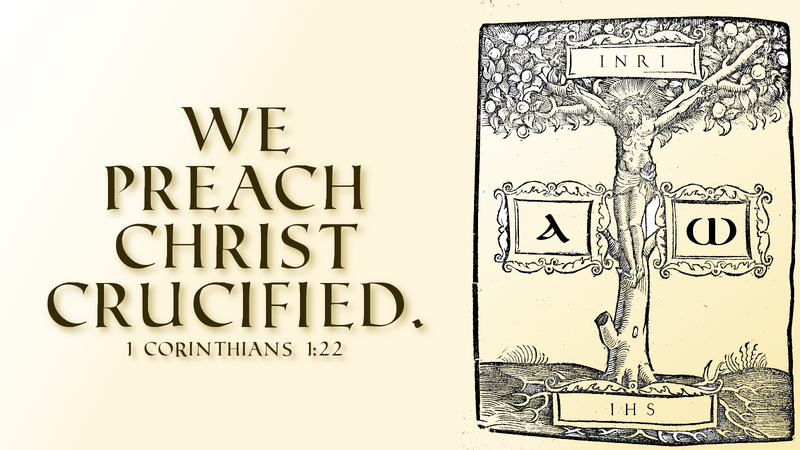 For we preach Christ crucified, the power and wisdom of God. Through the folly of our enterprise, God will bring many to repentance and faith. He did so with Elijah; he will use you too. Prayer: Let your word have its way with me, Lord, that I may be led in the way of the gospel of your Son. Amen.